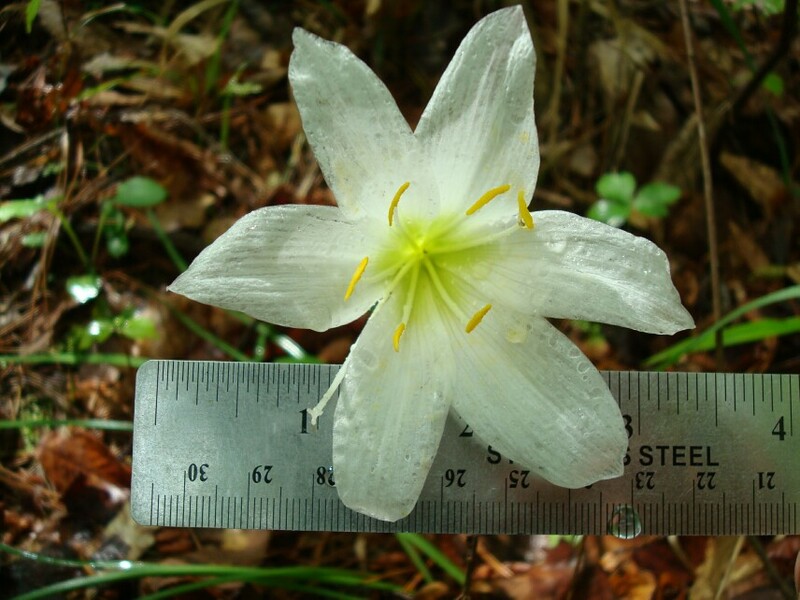 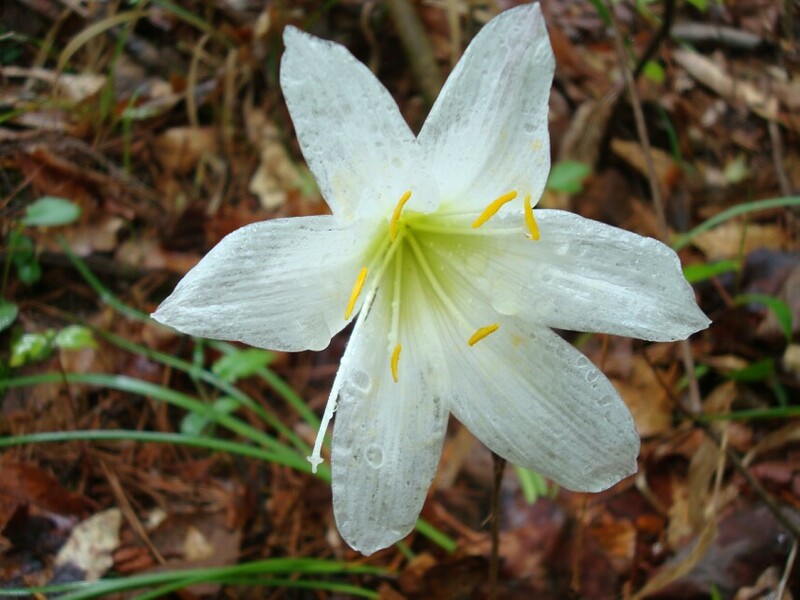 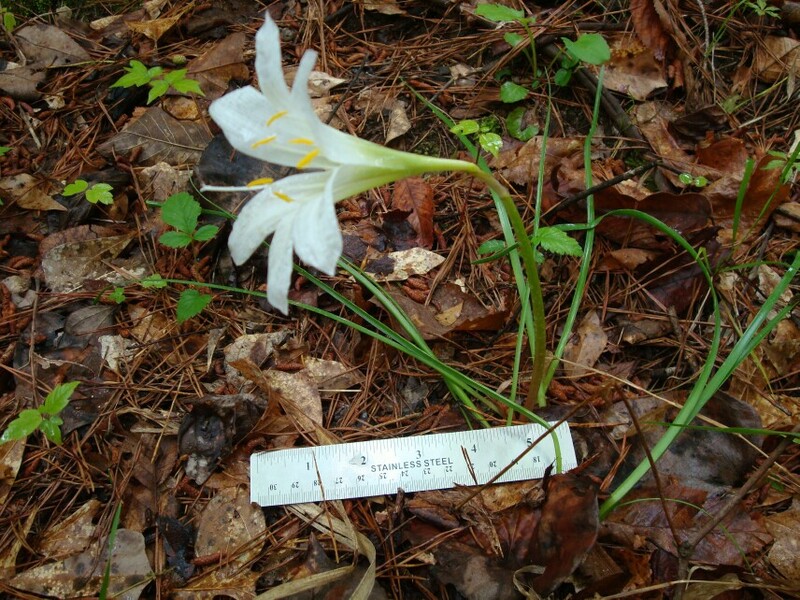 Rainlily, or Atamasca Lily, usually appears after rain. 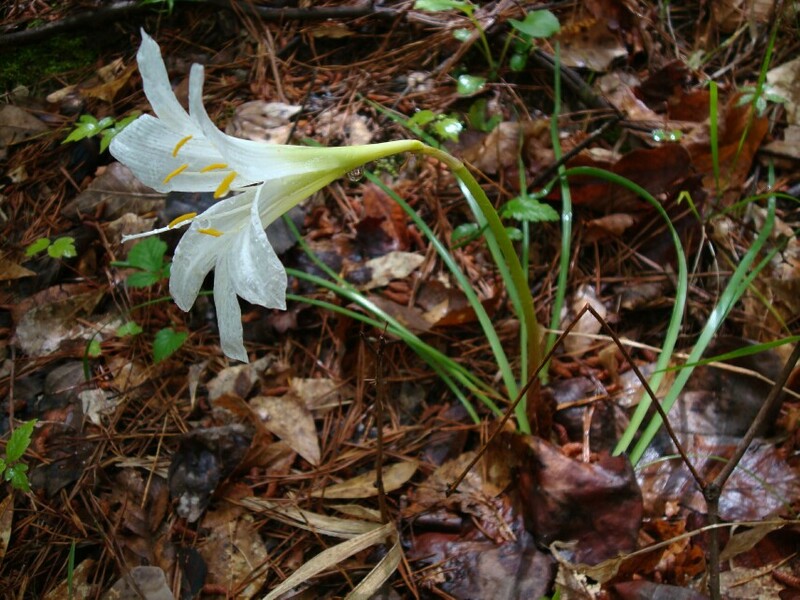 It is sometimes cultivated, and I have seen it growing at abandoned homesites in the older part of Mobile. 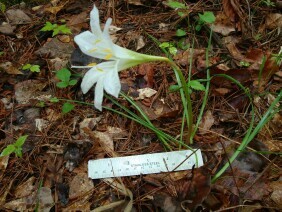 This plant was photographed at Old St. Stephens Historical Park, in Washington County, Alabama, in early April.